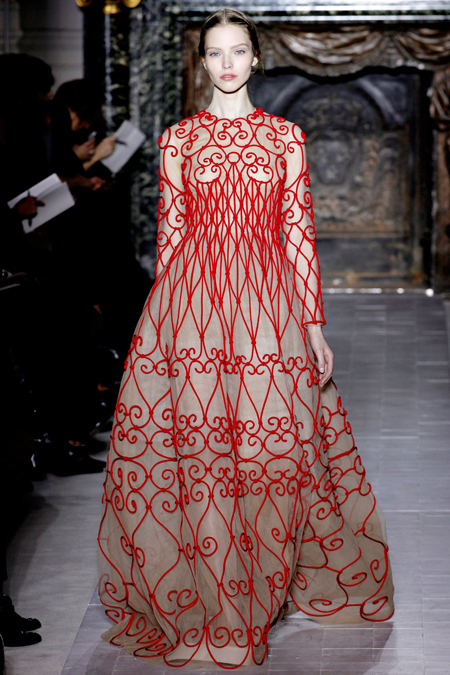 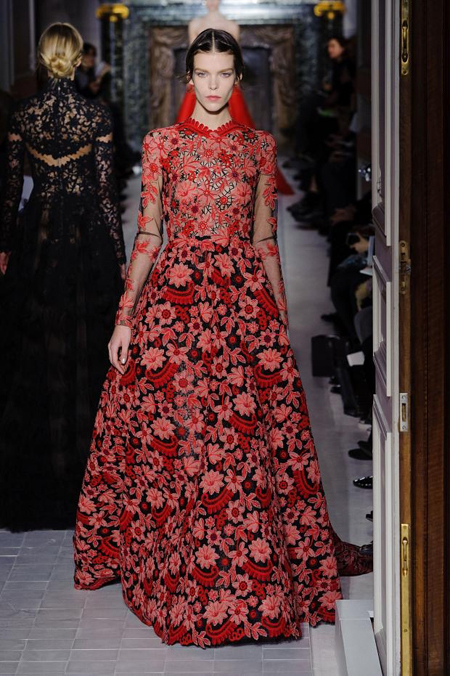 Holy crabsticks how much do I love House of Valentino's Fall/Winter collection for the Paris Haute Couture Week. 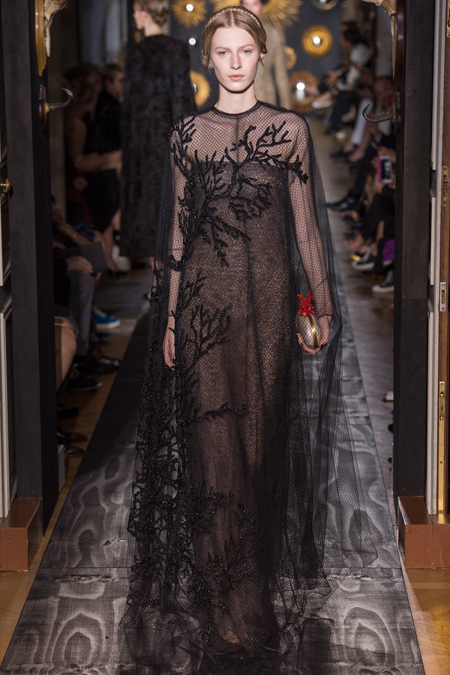 Creative designers Maria Grazia Chiuri and Pierpaolo Piccioli referenced the Renaissance from a Cabinet of Curiosities, Wunderkammer collective, a museum of the extraordinary with taxidermy, coral lace and wrought iron detailing that looks like icing on a gothic wedding cake. 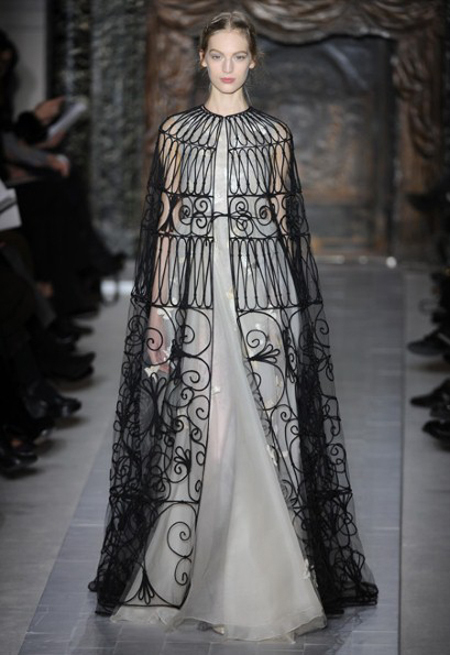 I will have one of each please and thank you.